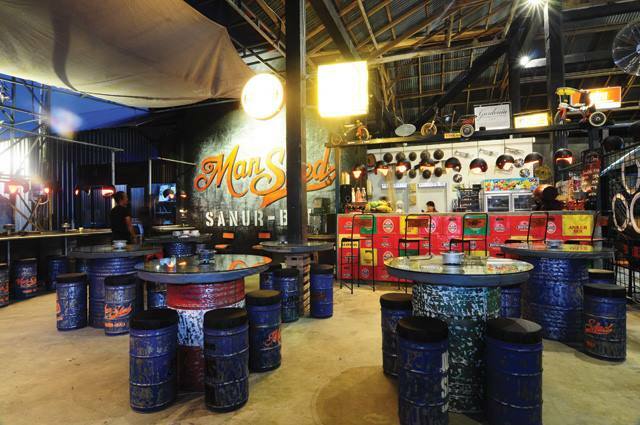 who would’ve known that Bali is filled with unusual restaurants? You can’t find these restaurants anywhere else! Check it out guys! Don’t be fooled, This isn’t actually a hotel. 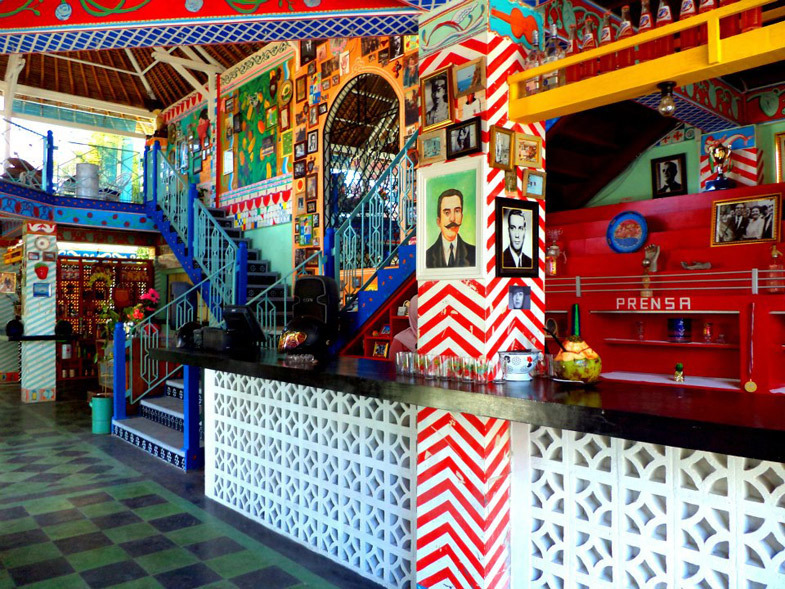 However, it is a Mexican Hotel themed restaurant, probably the most colourful one in the world. The restaurant of course serves excellent Mexican Food and Drinks and you should give it a try! 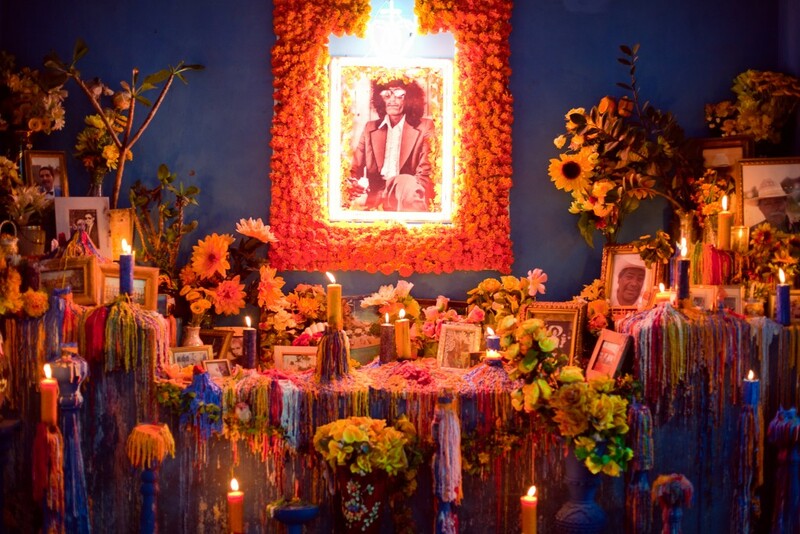 The most famous part of the restaurant consists of a shrine full of melted candle with a picture of what it seems to be Jimi Hendrix. A wise man once said “One mans trash is another mans treasure”, and Man Shed lives by that quote. 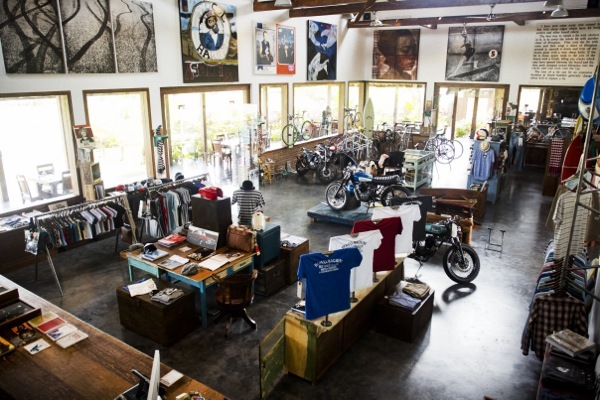 The whole interior of the restaurant is made out of used vehicle, chandeliers made out of old motorcycle helmets, and even a table made out of old vespas. This place is surely surreal. 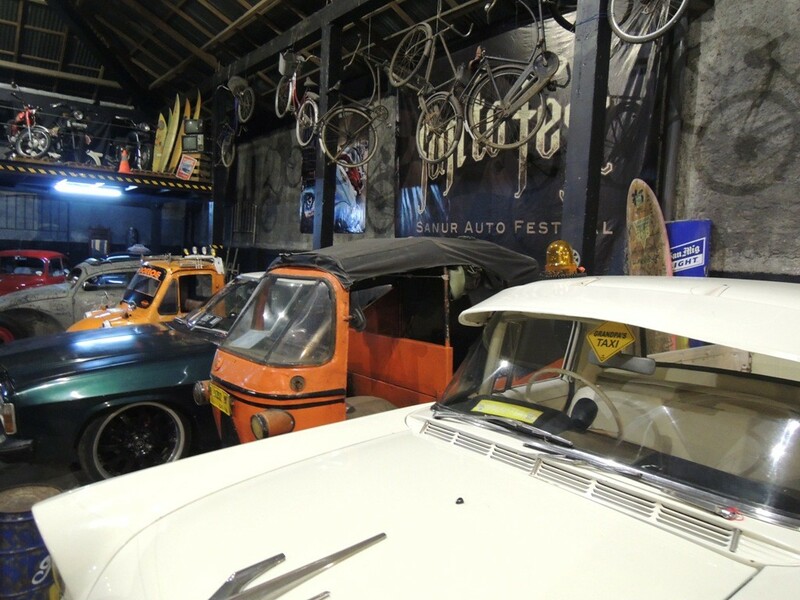 And Oh, do notice the Bajajs for reppin’ Indonesia. 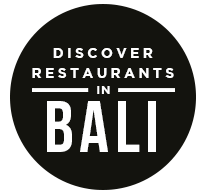 Growing up as a teenager listening to Rob Zombie and Marylin Manson, this place is easily one of my favourite restaurants in Bali. 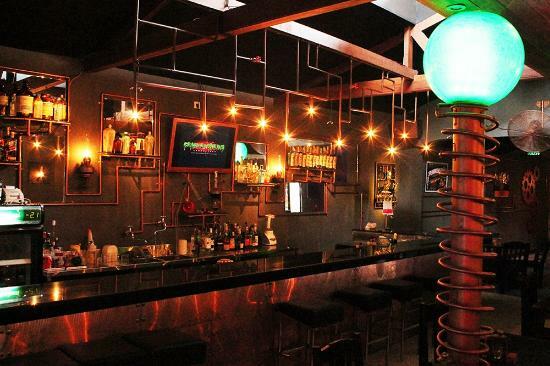 Where else can you have a Frankenstein themed restaurant? Now lets just hope Igor is there to help out. Yes, that’s a real lion. Yes, you’ll be dining right in front of it. 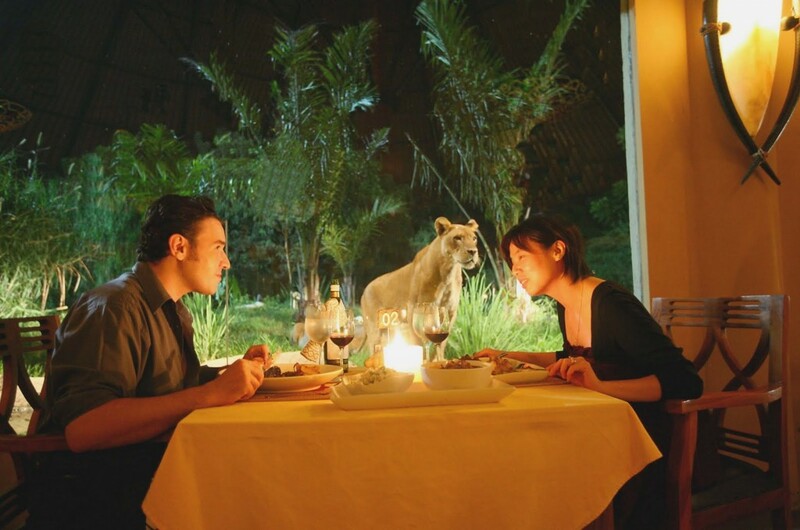 This place is located in the Bali Safari, so before your romantic dinner, you can roam around and see exotic animals from around the world! When else can you feel as if you’re in Narnia? 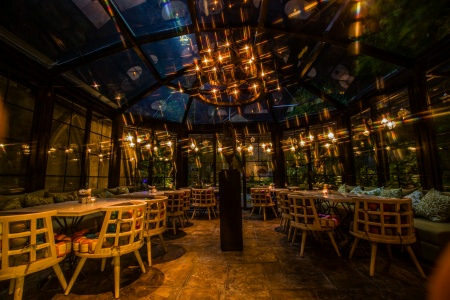 This restaurant will make you feel as if you’re in a fairy tale! The place is absolutely gorgeous and it reminds me of a scene from Maleficent. 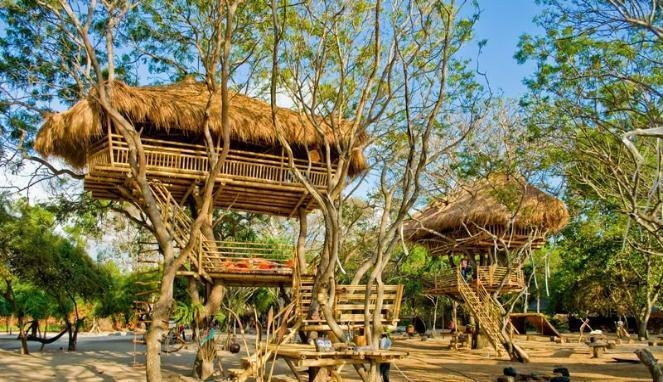 A must visit whenever you’re in Bali! This is probably the only Pirates themed restaurant! 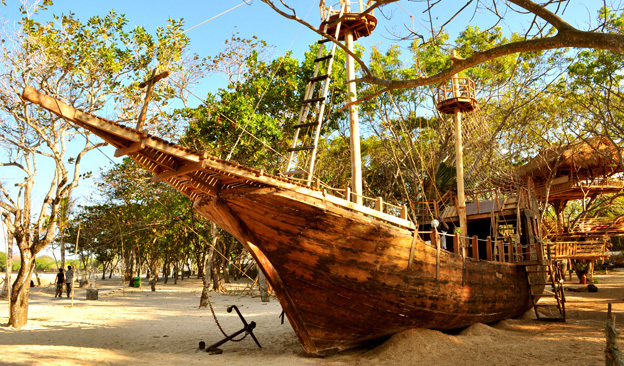 You’ll be dining inside huts and even a “shipwreck” and you can feel as if you’re captain Jack Sparrow. Arrr Matey! 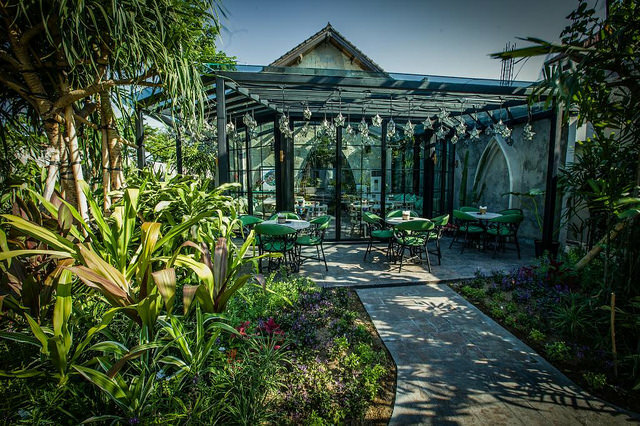 The post 7 Most Unusual Restaurants in Bali appeared first on Qraved Journal.